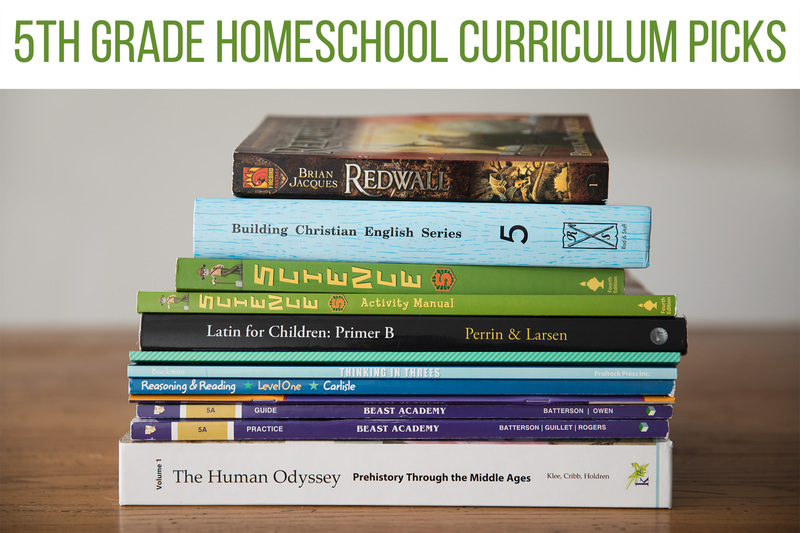 When I was first thinking about homeschooling, I did countless Google searches about curriculum for various grades. 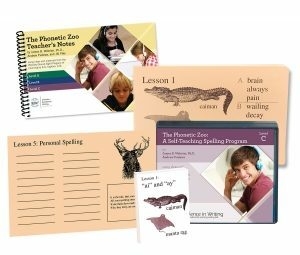 I was new to the homeschool world and had no idea what was out there. 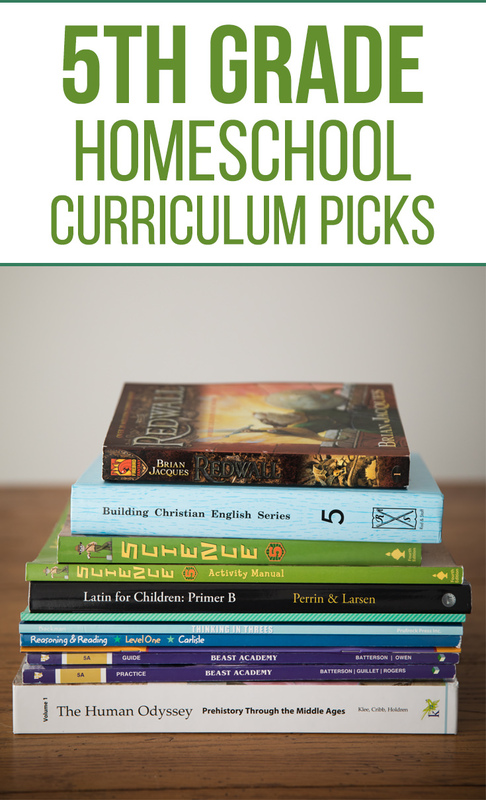 Reading blog post after blog post helped me realize that the resources and curriculum available to today’s homeschoolers are almost limitless. Of course, that creates another problem — how to choose what to use each year. All I can say is that, with time, I’m starting to learn which curricula are the best fit for our family. I’ve discovered how my son learns best; I’ve learned that some materials are easier to teach or mesh better with my educational philosophy; and I’ve learned I need an open-and-go approach for some subjects, but enjoy putting together my own plans for others. This year, I wanted to be sure to put up my own post, in order to help any other searchers out there — people who, like me, might be wondering what’s out there and how others make it all work. Of course, if I was a normal person, I wold have posted this in August, when we started our 5th grade year. I admit, I’m a cobbler and a switcher. I’m forever melding various curricula, and it’s pretty much a guarantee that I’ll still be making adjustments several weeks…or months…into the school year. It’s just how I am. At this point, though — 2.5 months into our school year — we’re pretty well established in what we’re using. So I figure it’s safe to share. Now, that’s not to say that I won’t suddenly adjust things again, but in the interest of stability and consistency for L. (11), I won’t enact a complete overhaul this late in the school year. This post contains a couple affiliate links, which means that you are supporting Composed for the Moment (at no additional cost to you) if you make a purchase after clicking the link. See my disclosure page for more information. 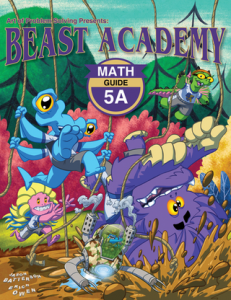 Our primary math curriculum this year is Beast Academy, Level 5. Beast Academy is a delightful blend of fun and super-challenging. It teaches through a comic-book-style guide and then provides plenty of rigorous practice. Beast Academy has been instrumental in helping L. learn to actually enjoy tackling and conquering difficult math problems. Up until this year, we were using Primary Mathematics (Singapore Math), so I also keep Primary Mathematics 5A/B on hand, in order to make sure we don’t miss anything due to the switch. Finally, L. uses Prodigy for reinforcement in any areas that need a little extra practice. Reading is a combination of open-and-go traditional, and home-grown fun. We are primarily using BJU Reading 5, but are condensing it a bit so that we can also spend a couple months just diving into some good novels while discussing literary terms and techniques. 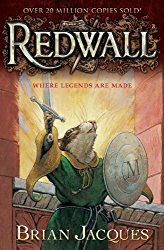 Just this week, we started Redwall, by Brian Jacques, and are thoroughly enjoying it. For the third year in a row, we are using Rod & Staff for grammar. 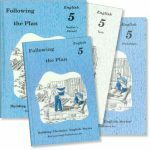 This year, we are on Level 5, “Following the Plan.” (Note: my husband said I probably picked this curriculum because I like the title of this year’s set. That’s not true. I mean, yes, I like everyone to follow the plan, but that’s not why I picked it.) To be honest, Rod & Staff can be a bit of a drudgery. There’s lots of drill, and lots and lots of sentences about farming. It’s a Mennonite curriculum that’s been around for a while, so that’s understandable, but it drives L. a little crazy. Still, we’ve tried other grammar curricula, but keep coming back to Rod & Staff. In the end, it’s clear, thorough, and effective, which is exactly what we’re looking for. L. loves writing, so I’m always looking for materials that will challenge him as well as foster his desire to write. Not surprisingly, our writing program this year is cobbled together from a variety of resources. 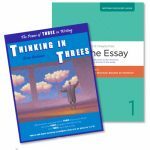 In October, after using most of Book 5 from Writing & Rhetoric, Logan took a 3-week creative writing class at Bravewriter, which he throughly enjoyed. We then jumped into (and are still working through) the first book in the Blackbird & Co. essay-writing curriculum. 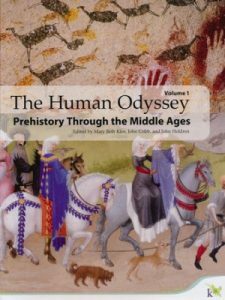 We’re using a variety of resources in history as well, but our primary spine is The Human Odyssey, Volume 1 from K12.com. I wanted to spend this year and next on world history, and to be honest, I remember very little world history from my school years. So I’m learning all over again as I teach, and enjoying it so much more this time around. The text we use is written in a narrative style, with excellent maps and photographs. We focus on people and their stories, and not just “a list of dates to remember.” A timeline helps us with context, and lots of conversations help the material soak in. We’re trying something new this year and using BJU Science 5 with online streaming videos for the teaching portion. I needed one subject this year that had someone else teaching. (To be honest, 5th grade has felt like a big step up as far as the amount of time I need to spend preparing and teaching.) So far, this curriculum has been a good fit for us. Regular experiments/demonstrations keep things interesting, and the streaming videos make my life a bit easier. 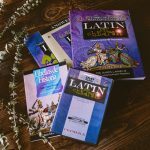 L. really enjoyed Latin for Children A last year, so we are continuing with that curriculum and doing Latin for Children B. There’s a DVD to watch on Mondays, and various worksheets and activities for the rest of the week. I’m impressed with how much vocabulary L. has learned, not to mention how helpful Latin is in reinforcing grammar concepts and logic. We’re doing several different things in Bible this year. 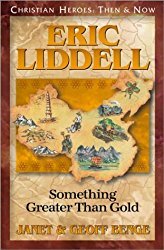 So far, we’ve read through The Case for Christ for Kids, and Something Greater Than Gold, a biography of Eric Liddell. We also use the Bible Study Guide for All Ages, where we are currently working our way through the book of Acts. Please don’t let my list overwhelm you if you are brand new to homeschooling! Like I said, I’m a cobbler, and I love to piece together our curriculum from a variety of providers and resources. This post is just meant to show you how one family is approaching 5th grade homeschool. 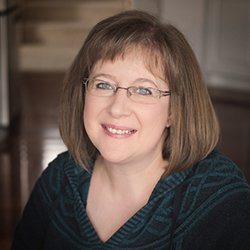 A great place to find other available programs and resources is at Cathy Duffy Reviews. If you have any questions about the materials we are using, or anything else about our fifth grade year, just leave a comment! Nice list, Katrina! Very helpful since 5th grade is right around the corner for Kaylee! We discovered “The Good and the Beautiful” this year for Language Arts and we love it. So that’s our newest find, which we switched to in October. I’m a bit of a cobbler, too. But hey, thou gotta go with what works for Mom AND kiddo! Yours is a great list and I’ll be checking some of those books out! It was supposed to say “you”! I’m really not all that Shakesperian!